We make it easy to protect your most important investment while saving money. 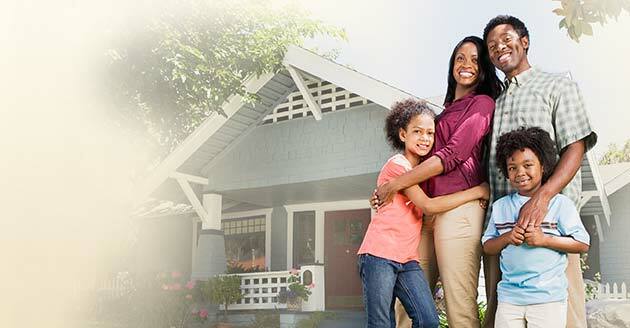 Compare valuable coverage from reputable home insurance companies at your convenience, with no pressure to buy. We recognize every household has unique needs. Therefore, we allow you to customize a policy to ensure you are getting the optimal amount of protection at a price you can afford. Our company was founded with the goal of offering free, unbiased homeowners quotes in a simple, straightforward manner. Instead of trying to find a reputable agent, our innovative method saves you considerable time and effort. The application process is completely secure and there is no obligation to purchase. This allows you to compare rates at your convenience. You can begin the process by entering your zip code into the form above. Once you complete the simple application process, you will receive custom estimates from providers that are best suited to meet your specific needs. If you have any questions or want to learn more about the different types of protection, visit our house insurance basics guide, created to help you make wise decisions about the various products and coverage types! No comprehensive resource would be complete without an answers section devoted to helping you find the information you need quickly and conveniently. Whether you are looking to purchase a new plan or simply want to see if you could be saving money by changing your coverage, we can help. Additionally, we feature helpful safety tips that can make your home a safer place, while reducing risks and liabilities. Browse geographical information in our national guide and see how your locality stacks up against others in terms of annual premiums and coverage requirements. Finally, browse our glossary to learn the definitions of key terms. We created this resource because we believe it should be simple to buy quality protection at affordable prices. By making the decision to adequately protect your household, you will soon enjoy peace of mind. We are not an insurer, nor are we directly affiliated with any particular company, so you can rest assured you are getting unbiased information that will benefit you. The service we offer is completely free and can offer significant savings, so we encourage you to compare rates today! HouseInsuranceRates 4.7 out of 5 based on 142 ratings.